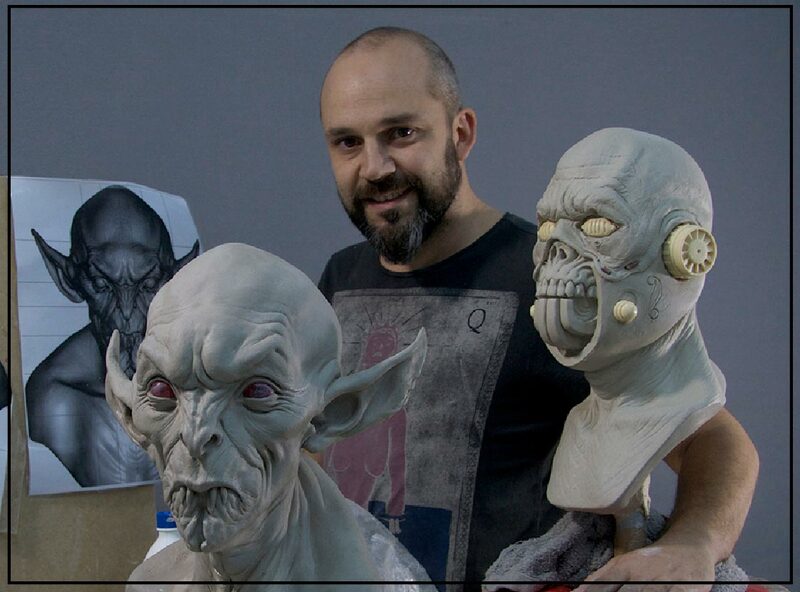 Arturo is a Spanish make up artist and creature designer who has been working in make-up FX since 1993. He has worked on film and TV projects such as ‘Pan’s Labyrinth’ and ‘Doom’ for DDT SFX, ‘Little Britain’ for Millennium FX and ‘Harry Potter’ for Nick Dudman. In 2011 he won a Goya Award (Spain’s highest cinematographic) for best special effects for ‘EVA’. As well as freelancing with others Arturo also has his own company Dharma Studio, designing and creating characters and creatures for films. At the ‘Monster Mash’ he will be demonstrating creature design using practical sculpture a digital sculptures and selling his collectible masks.